Welcome to this month’s Blogorail Yellow Loop. Today we are sharing ideas to celebrate Star Wars Day. You can celebrate with a “Star Wars: The Force Awakens” movie night fitting for both die-hard fans and newcomers to the galaxy far, far away. Star Wars is pretty big deal in our house. I remember my parents taking me to see the original movie (A New Hope) when I was only 2. I absolutely loved it. Every character’s name was immediately memorized and I secretly wanted to be Princess Leia when I grew up. James also grew up with a passion for Star Wars. We couldn’t wait for the day to come when our kids were ready to join our Star Wars alliance. Coincidentally, the time came at the exact moment a new movie was about to join the franchise. The arrival of Episode VII: The Force Awakens was the perfect opportunity to introduce the original three movies in preparation for the 7th installment. 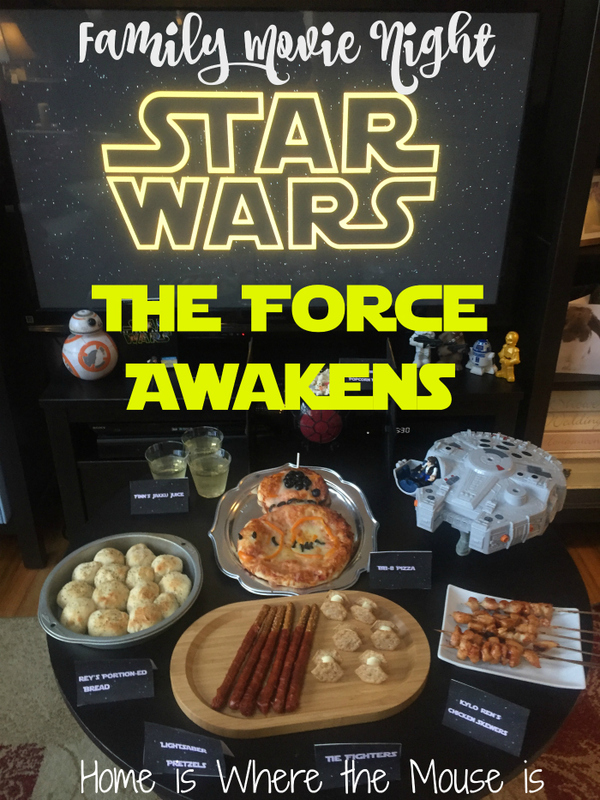 With Star Wars Day (May 4th) only a few days away, we decided to have a Star Wars: The Force Awakens movie night. Just like with our mutual admiration for the films, this night became a family affair. I was in charge of the menu, while the kids took over the decorating. 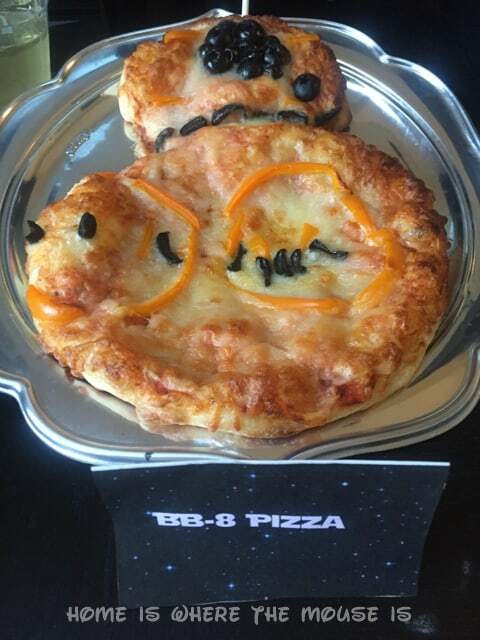 BB-8 Pizza – Pizza shaped like the BB-8 droid. His features were made from olives and orange peppers. 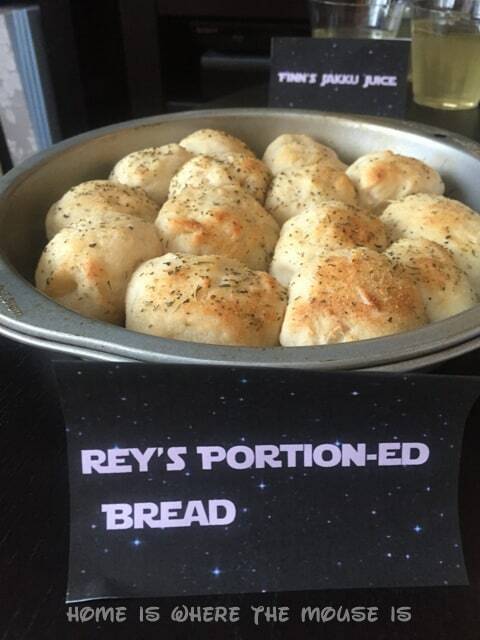 Rey’s Portion-ed Bread – Inspired by Rey’s portion bread that she eats while on Jakku, these mini garlic rolls were the right size for movie watching. 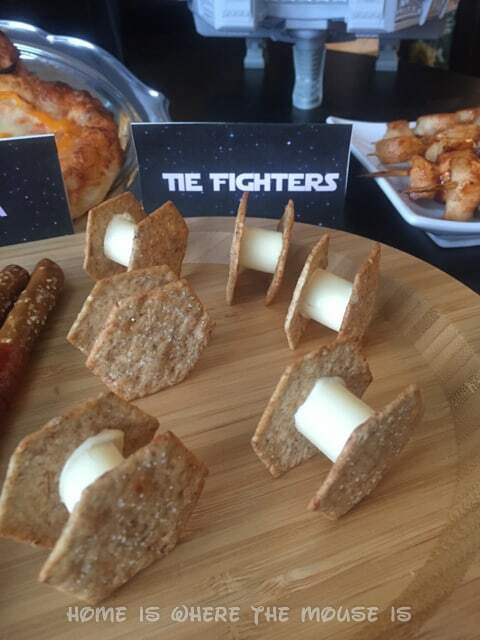 TIE Fighters – Hexagon shaped crackers held together with soft cheese and a piece of a cheese stick. They flew right into our mouths. Lightsaber Pretzels – Pretzel rods covered with strawberry fruit roll up. I made them red to represent Kylo Ren’s lightsaber. 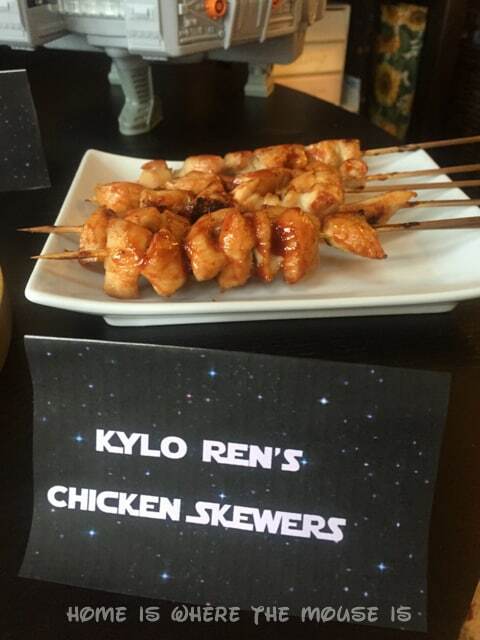 Kylo Ren’s Chicken Skewers – Since Kylo likes to skewer things like consoles and family members, I thought this would be a fitting dish to represent him. Chicken was skewered on a stick, then smothered with barbecue sauce. 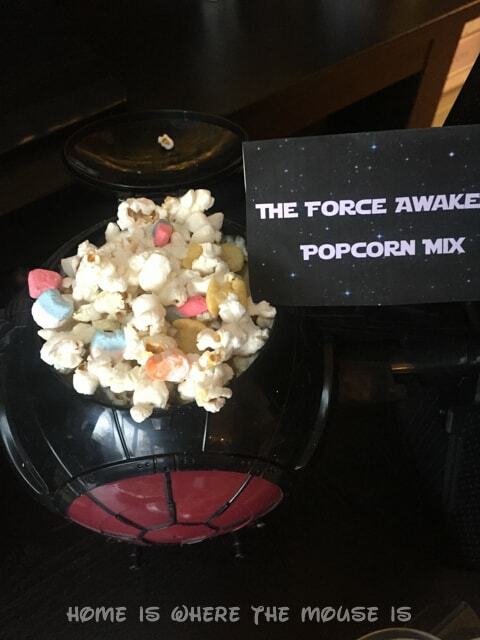 The Force Awakens Popcorn Mix – What’s a movie without a fun popcorn? I mixed popcorn with Star Wars cereal. 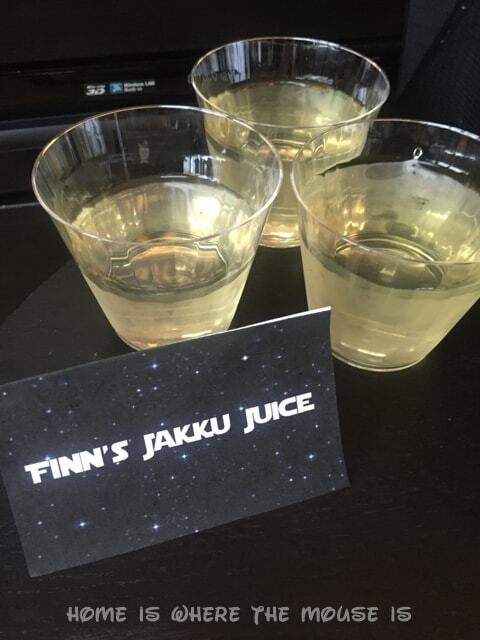 Finn’s Jakku Juice – Who can forget the scene when Finn was drinking from the pig’s trough? While this juice (iced green tea) didn’t taste as bad, it still had about the same coloring. The kids decided to decorate our movie space with as many Star Wars toys as they could find in the house. We had everything from the Millennium Falcon to character figures to popcorn buckets. It just goes to show that it doesn’t take much to decorate for a movie night. All you have to do is look around the house. Until the next two movies in this new trilogy happen, we’re content with watching this one on repeat. May the force be with you! 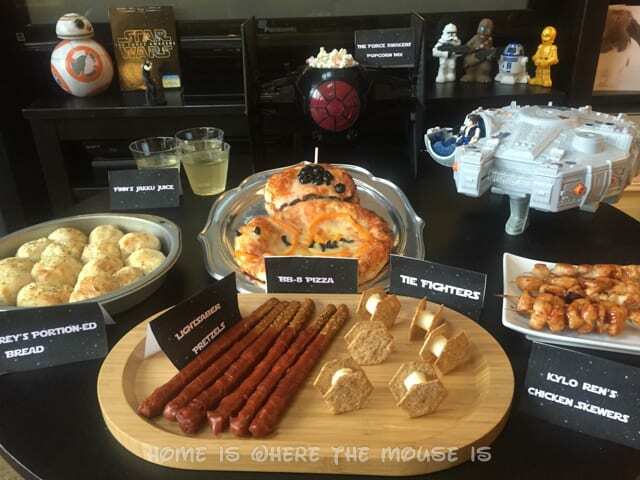 I know I say this EVERY TIME to post a movie night/theme post, but I seriously do want to come to a party at your house sometime! You go all out – even down to fancy nametags for the food. I love it! You’re just so clever! Oh, and I love the new look of your blog. Oh my goodness, you guys are so creative! I love the portion-ed bread. 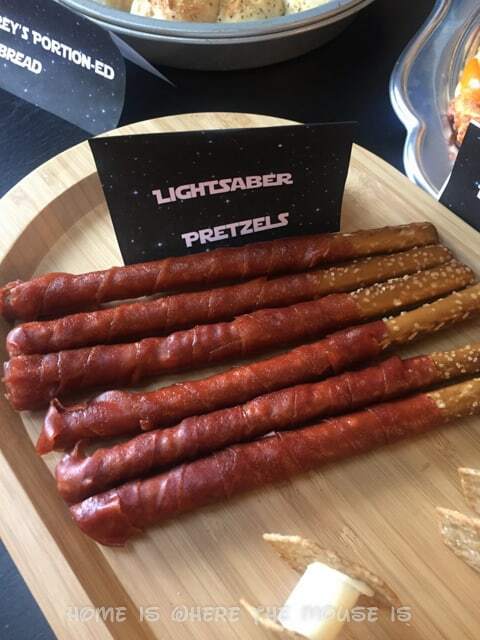 Oh, my those lighsaber pretzels look sinful!!! Love all the theming. Any Star Wars fan would be happy with this. Love how you got everyone involved in the movie night! The food looks really yummy but quick and easy too which is great. I have a confession…I want to be a part of your family just so I can join in on movie nights. 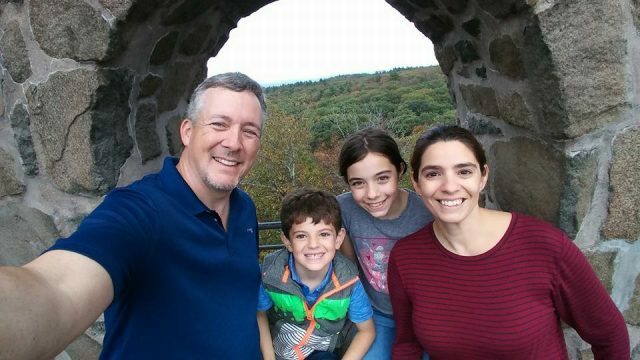 Seriously, you guys seem to have the most fun, and the most creative family nights ever! 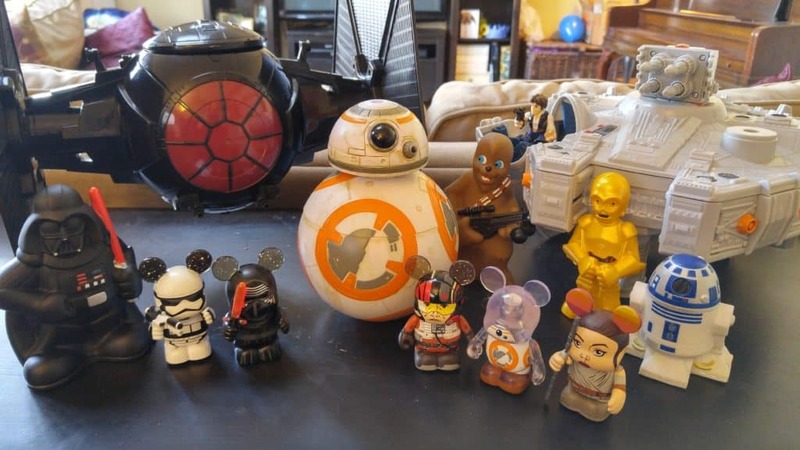 I love the BB-8 Pizza!